Haha, I wore my chacos to church today! I was excited for a second thinking I wasn't the only one. I love my Keens. I finally had to toss them, unfortunately. They were hashed. They're amazing! 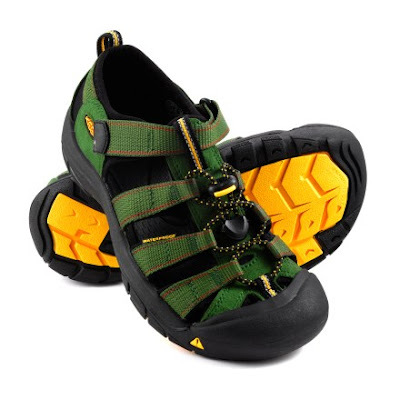 They have one continuous strap that runs through the entire shoe that you can tighten down exactly to your feet. The most incredible shoes I've ever owned. Ok, ok, here it is.